First impressions of a new beekeeper…and cool surprises. 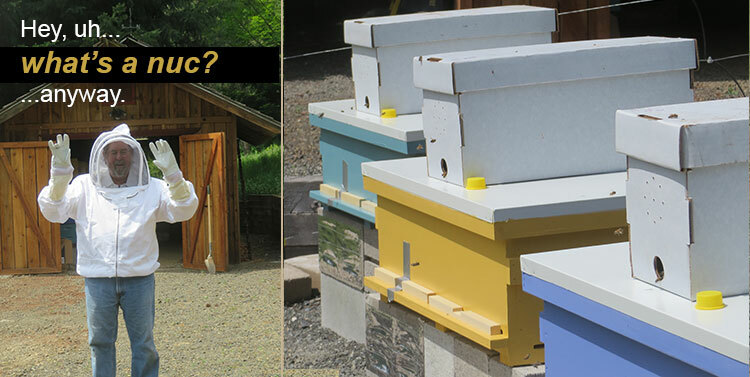 Beginning beekeeper Q1: What’s a nuc?! More on the longhive details in a future article. For now, the fun starts with the arrival of our nucs. It soon dawned on me. What the heck is a nuc? And, if it’s what I think it is (I thought to myself), how I am going to get three of them to our house? Yikes! The term “nuc,” as I now know, is shorthand for what’s known as a “nuclear,” or smaller bee colony with an active queen. It’s held in a temporary box that can vary in size. It’s really a starter kit for the full hive to come. After a quick beginning beekeeper lesson, I learned that a single nuc box generally contains five developed frames of bees, along with a queen that’s already laying eggs. The five frames amounts to about 10,000 bees. Hmm… quick math: 3 nucs x 10,000 bees per nuc = 30,000 bees for starters. Beginning beekeeper Q2: How do you transport a nuc?! I still had not yet seen an actual nuc container, but 30,000 seemed like a lot of airborne-capable bees buzzing. And, where were they going to be buzzing? In the back of my compact SUV, windows up, of course! Anxiety Rising: isn’t that a famous Leadbelly song…or maybe a Hemingway novel? Anyway, in the rear-view mirror of 20-20 hindsight, I would have benefited from a hands-on inspection of somebody’s active hives before venturing further. Or, at the very least, I should have attempted to physically handle a nuc box prior to our pick-up date. But as I said, I was a beginning beekeeper. I didn’t know what I didn’t know. In many ways, I’m still a beginning beekeeper at this point in time, so maybe I should restate what I was then and call myself a pre beginning beekeeper. In any case, my anxiety did not stem from fear of bee stings, swelling or allergies in general. I have had my share of bites, stings, and welts over the years without major consequence. These days I’m more concerned about poison oak than bees or wasps. Rather, my problem was the idea of me, a beginning beekeeper who had no idea of what I was doing, and 30,000 buzzing passengers traveling in my vehicle, attempting to get from point A to point B. 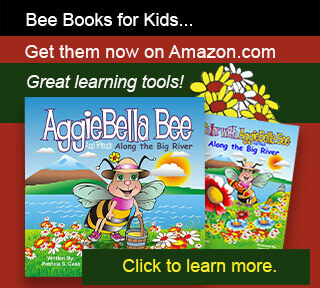 Beginning beekeeper Q3: Why aren’t the bees angry? My anxieties ended up flying out the open window on the way to the nuc delivery site, because the actual pick up and return could not have been smoother. It was all happening in the early evening. There was a total of about 150 to 170 nucs being picked up by a variety of both new and more experienced beekeepers. Conservatively, that number of nucs means there could have been 1.5 million bees at the pick-up site at one time. The cool surprise for me was the quietude of the dusky space near the array of boxes in the field and around the individual boxes. I had expected to see at least some bee activity, but there was none. I later learned that the bees were not being particularly aggressive because they were settling in for the evening. In addition, their small hives at the time rendered them fairly defenseless. The boxes themselves were constructed from thick, coated cardboard. They had tight fitting lids over them. Inside were the five frames with the bees. The boxes had small air holes so the bees could breath. They were closed up just prior to pick-up, via a plug in one end. I hoped that most of the bees had made it back into their boxes before they were plugged up, and that there were few, if any, stragglers in the field. Any of the commotion in the field wasn’t coming from the bees. It was coming from all of the other folks getting positioned to pick-up their nucs and leave. I still could not get over the idea of how cool, calm and collected the bees were. It was dark by the time I selected our actual boxes. Unfortunately, the vehicle I was about to put them into was parked a bit of a distance across the field. Maximum caution here please; I did not want to stumble in the dark with 10,000 bees in my arms! Luckily, Jeff, the owner and seller, offered to help. He and I carried the three capped nuc boxes with 30,000 bees across the field, and loaded them into my vehicle. It was only a short uphill trip to their permanent residence at our house. Once home, we placed the nucs on top of the longhive boxes, which would be their permanent homes. We planned to transfer them into those boxes the next day. I was once again astonished at how quiet 30,000 bees seemed to be. The beginning beekeeper that I was (and still am) succeeded in the first big step as a beekeeper.